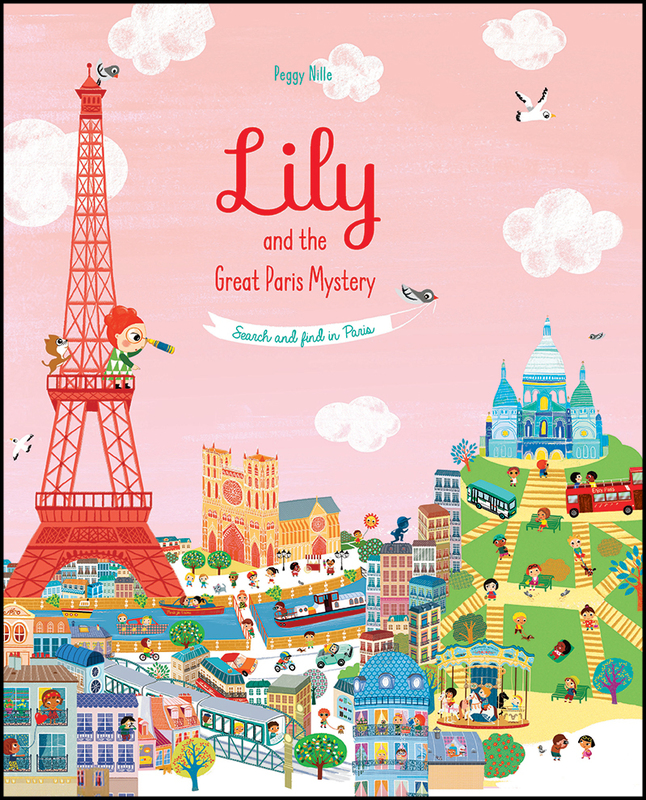 Become a detective like Lily in this adventure through Paris! Can you help Lily and her friends catch the mysterious shadow racing across the city? Join the investigation by finding clues hidden away in these vibrant and energetic illustrations. Peggy Nille worked for six years as an artistic director creating websites. In 2005, she left everything to illustrate full time, and has since created wallpapers, digital frescoes, toys and children’s books. Peggy has many books published in France and quite a few of these have been translated into English, including My World, My Words and Heads and Tails. She loves fashion and travel.